Yasutoshi (靖利) was born in the fourth year of Taisho in Hiroshima Prefecture. He was the third son of Yasutoku who became his teacher. He joined the Nihon Tanren Kai (Yasukuni Shrine smiths) in July of the eighth year of Showa (1933) as a sakite (apprentice) and he became a full-fledged sword smith in January in the fourteenth year of Showa (1939). He left the Yasukuni Shrine in the sixteenth year of Showa (1941) due to ill health and passed away the following year (1942). He was only twenty-seven years old when he died. It is dated Showa Jû-yon Nen Shigatsu Kichinichi. This means made on a lucky day in April of the fourteenth year of Showa (1939). 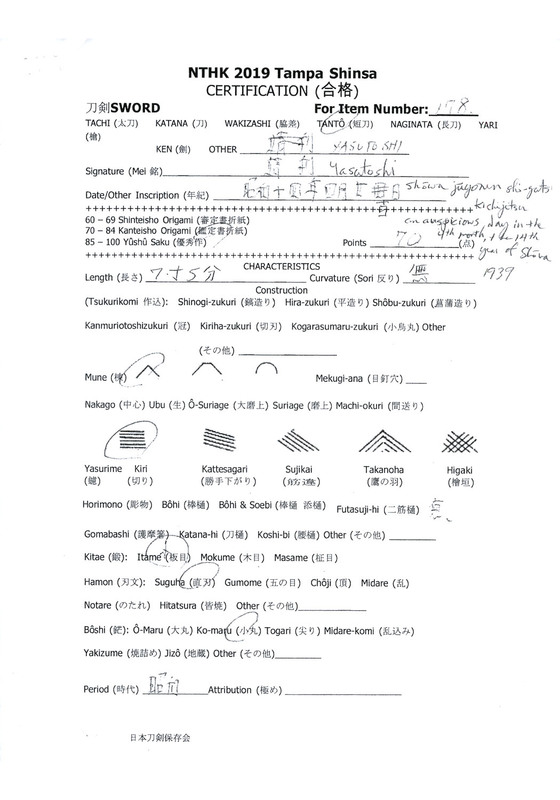 It is signed simply Yasutoshi. 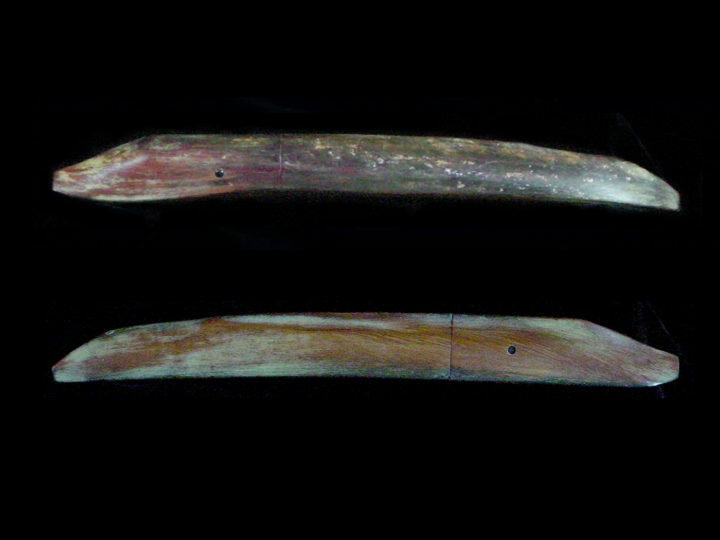 It has a nagasa of 8 15/16 inches or 22.7 cm. 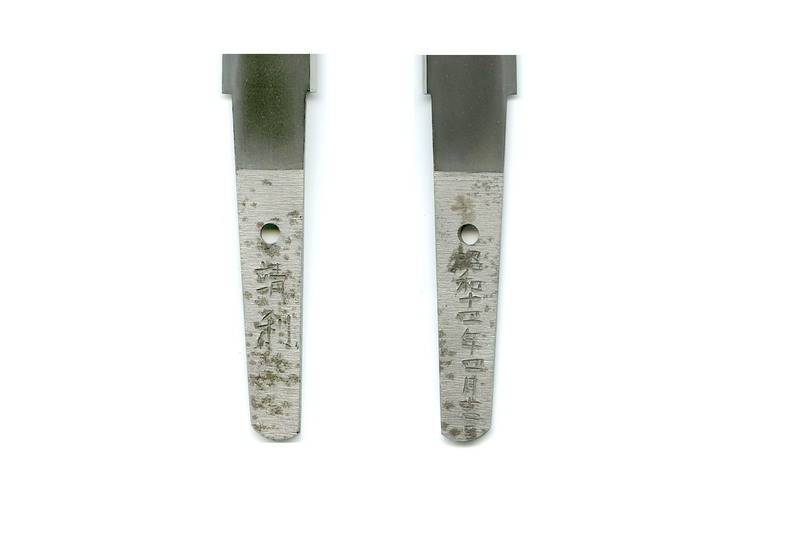 The moto-haba is 0.91 inches or 2.3 cm and the saki-haba is 0.7 inches or 1.7 cm. 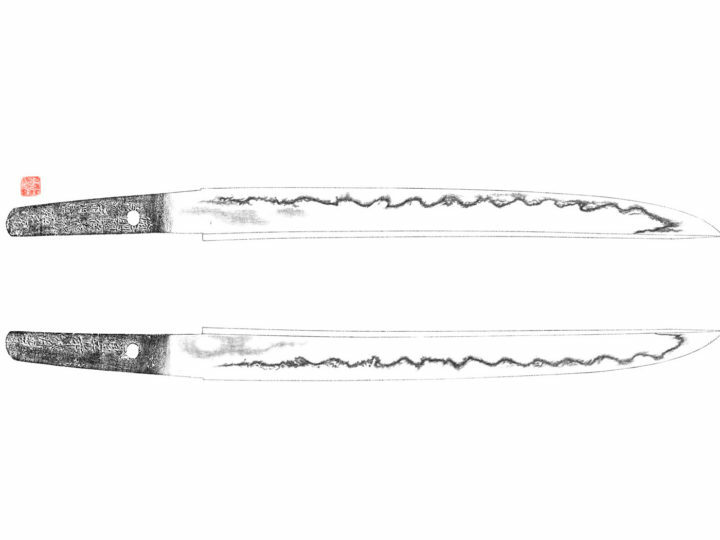 The kasane is 0.25 inches or 0.6 cm. 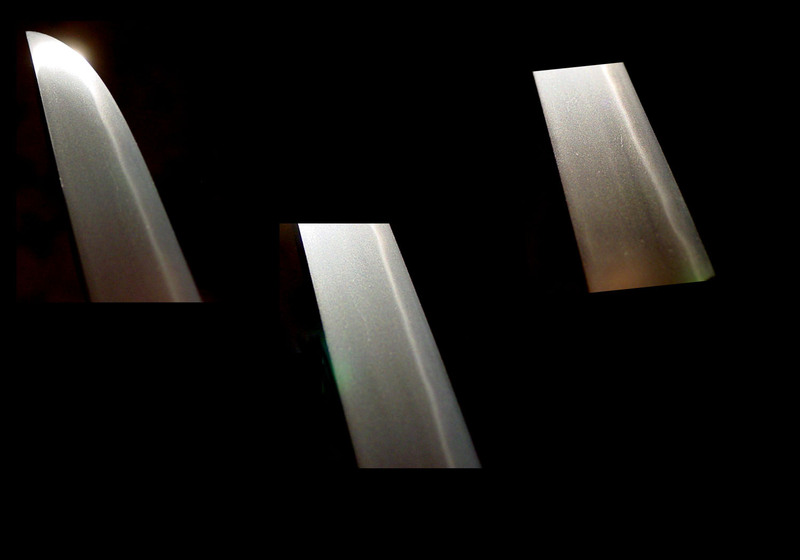 The blade is hira-zukuri with uchi-zori. 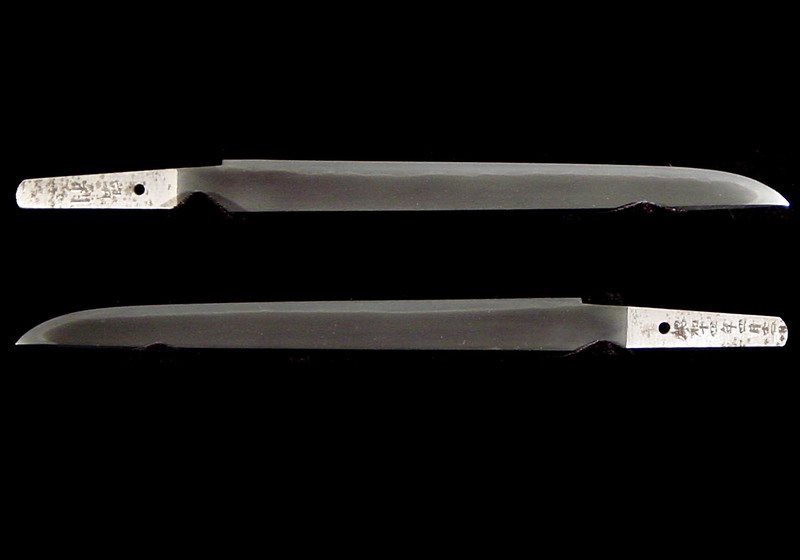 The hada is a very tight ko-itame that has an almost wet appearance and reminds us of the great Awataguchi blades of the Heian Era and early Kamakura Era. The hamon is a ko-nie based ko-notare almost appearing suguha. 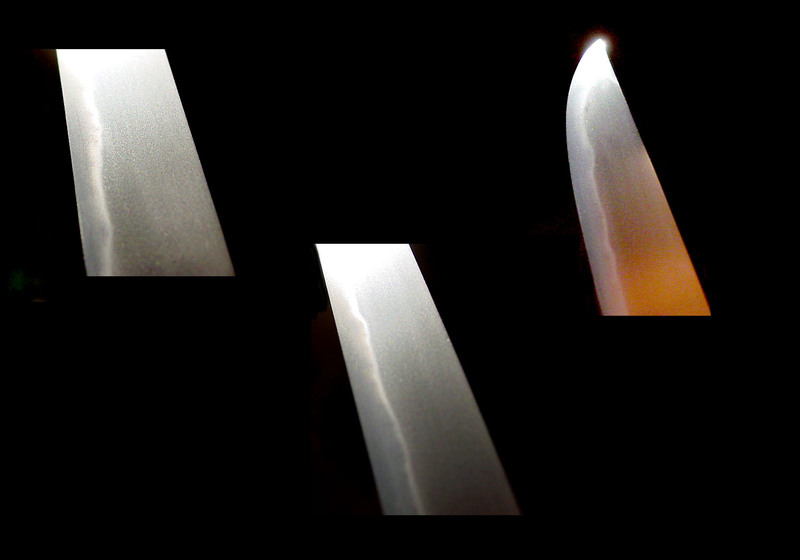 There are very fine ashi throughout the hamon. 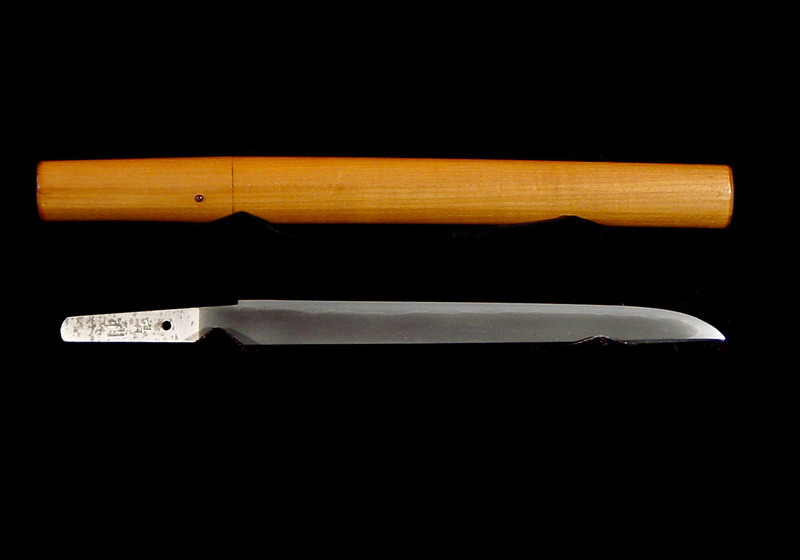 This sword is extremely rare because very few tantô were made at the Yasukuni Shrine as their mission was to make quality katana for high ranking officers of the army. Also because Yasutoshi died so young and worked at the shrine for such a short period of time, his swords are especially rare and precious. 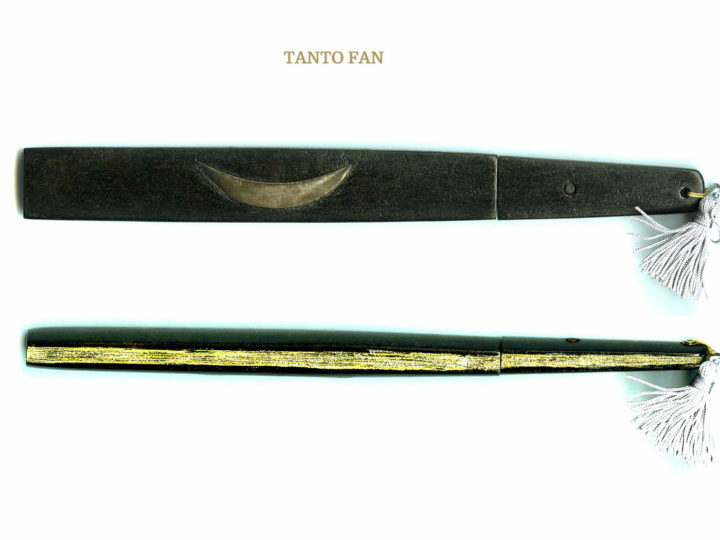 This tantô comes with NTHK papers attesting to the validity of the signature and the quality of the blade. These papers will be forwarded to the new owner upon receipt from Japan. A copy of the approved submission sheet is shown below for the time being. 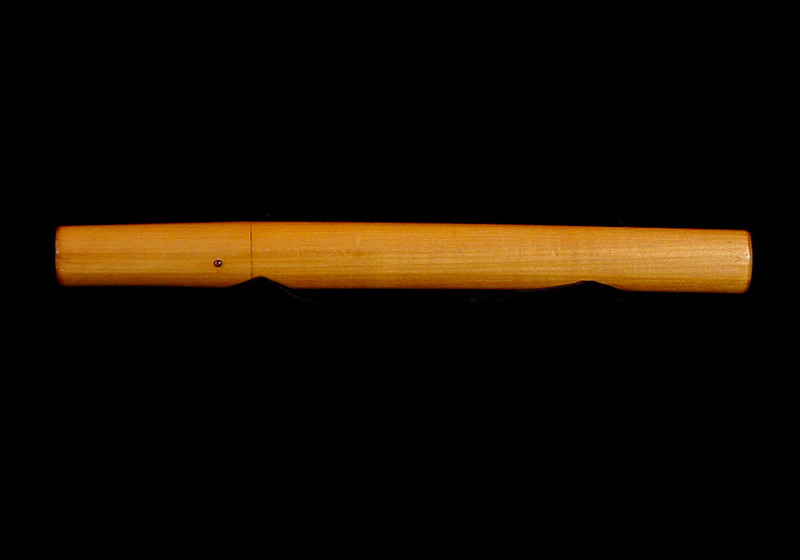 This tantô comes in a very nice shirasaya with a carved wooden habaki. It is in perfect polish with no rust or flaws of any kind. 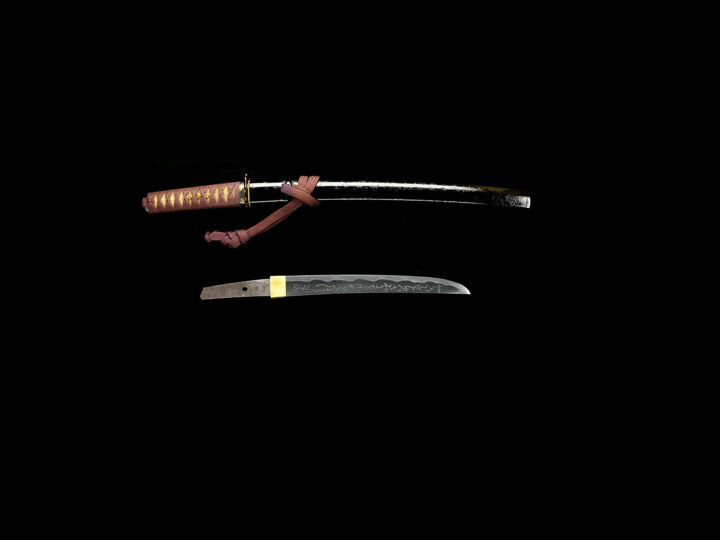 The nakago looks new showing how much this sword was treasured and cared for during and after the war. 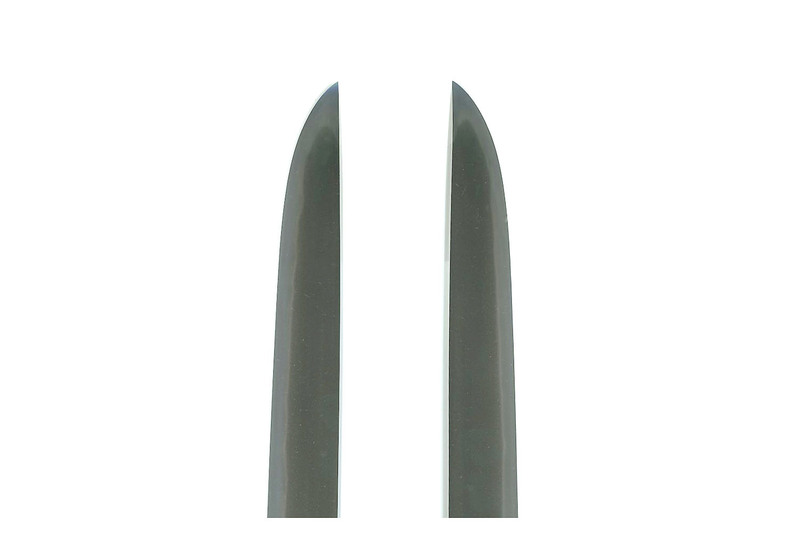 If you are a collector of Yasukuni blades or simply want to add a very rare and precious blade to your sword collection, don’t miss this opportunity to own a great one.